I’ve created a Facebook page which I update regularly with my writings. If you “like” the Facebook page, which is here, my writings may show up on your newsfeed (algorithm willing). I’m continuing to write at The Message, over at Medium. My Message pieces there can be found here. 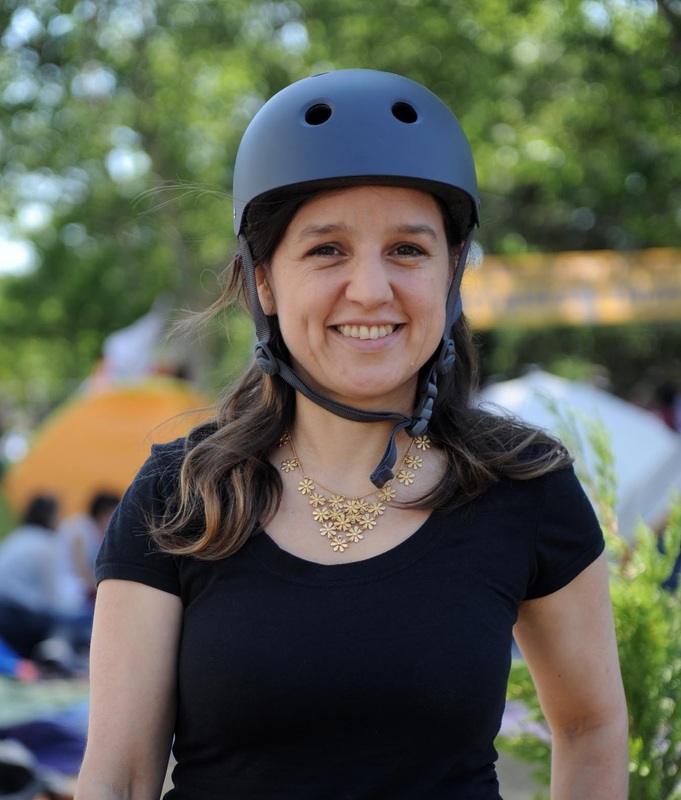 I can be found on Twitter as @zeynep. I haven’t really given up blogging or writing as you can see—just shifted more to traditional media as well as new platforms. Of course, I continue to publish academic articles regularly. You can see almost all of them here on Google Scholar or an Academia.edu on this page. Sorting by year on Google Scholar will give the latest ones. If you need a copy of any of my academic articles, please email zeynep at technosociology dot org and I’ll be happy to send you a copy. (Though most of my articles are open access these days! Yeay!). 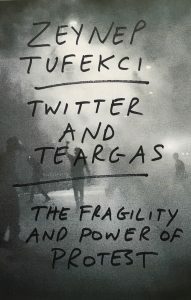 Finally, I’m working on a book for Yale University Press tentatively titled “Networked Protests in the 21st Century”. (Title will likely change). It should be out in 2016 (it takes nine months from manuscript completion to bound copy of book!). I’m super excited about this book as it will bring together my theoretical and empirical work on the interaction between new technologies and social movements in one place. This entry was posted in Uncategorized on August 22, 2015 by zeynep. I know I haven’t kept up with this blog but it’s not because I’ve stopped writing or blogging. Most of my latest writings have been at “The Message” collection over at the Medium. (Yes, The Message at the Medium.) Click here for a list of the latest. I’ve written on a variety of topics ranging from algorithms to Ebola (and networks, institutions and globalization). I’ve also written some more academic articles (many of which are here). You can also track many of them through my Google Scholar page. My new year’s resolution is to do a better job of keeping a central inventory of all my writing! My other goal is to get more of my PDF publications into plaint-text and HTML formats. My (lame) excuse is that I’m too busy writing! I promise to improve… soon. In the meantime, drop me a line at zeynep at technosociology dot org for requests of copies of papers (or for press inquiries). This entry was posted in Uncategorized on November 17, 2014 by zeynep. I’m not focusing on this one study, or its publication, because even if Facebook never publishes another such study, the only real impact will be the disappointed researchers Facebook employs who have access to proprietary and valuable databases and would like to publish in Nature, Science and PNAS while still working for Facebook. Facebook itself will continue to conduct such experiments daily and hourly, in fact that was why the associated Institutional Review Board (IRB) which oversees ethical considerations of research approved the research: Facebook does this every day. I’ve been writing and thinking about this a lot. I identify this model of control as a Gramscian model of social control: one in which we are effectively micro-nudged into “desired behavior” as a means of societal control. Seduction, rather than fear and coercion are the currency, and as such, they are a lot more effective. (Yes, short of deep totalitarianism, legitimacy, consent and acquiescence are stronger models of control than fear and torture—there are things you cannot do well in a society defined by fear, and running a nicely-oiled capitalist market economy is one of them). That, to me, is a scarier and more important question than whether or not such research gets published. As I said, if this scares Facebook from future publishing, the biggest group that loses is the Facebook research team’s aspirations of academic publications. This type of work itself will continue, stealthily, as it has been. How is publishing the results of one A/B test worse than knowing nothing of the thousands of invisible tests? The alternative is not that they don’t publish and we forget about it. The alternative is that they publish (or not) but we, as research community, continue to talk about the substantive issue. So, yes, I say we should care whether Facebook can manipulate emotions, or voting behavior, or whether it can model our personality, or knows your social network, regardless of the merits or strength of finding of one study. We should care that this data is proprietary, with little access to it by the user, little knowledge of who gets to purchase, use and manipulate us with this kind of data. And of course it’s not just Facebook, every major Internet platform, along with governments, are in this game and they are spending a lot of money and effort because this is so important. As academics and the research community, we should be the last people who greet these developments with a shrug because we are few of the remaining communities who both have the expertise to understand the models and the research, as well as an independent standing informed by history and knowledge. If you want to read more, I have a much longer version of this argument, focusing on the case of political campaigns, but is applicable more broadly. So, click here or on the title below for my paper that is accepted as publication and is forthcoming in the July 2014 issue of First Monday, Volume 19, Number 7. Abstract: Digital technologies have given rise to a new combination ofbig data and computational practices which allow for massive, latent data collection and sophisticated computational modeling, increasing the capacity of those with resources and access to use these tools to carry out highly effective, opaque and unaccountable campaigns of persuasion and social engineering in political, civic and commercial spheres. This entry was posted in Uncategorized on July 2, 2014 by zeynep. 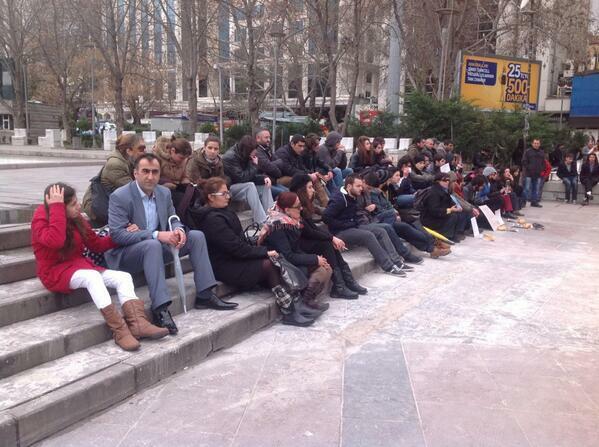 UPDATE: On 3/27, YouTube was also blocked in Turkey with the executive decision of the governing agency, TIB. The context of this ban is an alleged recording of Erdogan’s inner circle, including the Foreign Minister, the ramifications of an incursion into with Syria. For many days, a Twitter account who claims to be a mole in Erdogan’s inner circle had been “predicting” that Erdogan was considering war with Syria as a means to gather support or distract. (I am not going to comment on the validity of these claims or the recordings but provide them only to explain the political context). So far, the Youtube ban is a DNS level only which is similar to many previous blocks of Youtube in Turkey and circumvention will be easy (changing DNS settings) and widely undertaken. While we need to wait for Prime Minister Erdogan to speak, early reports are that it was the Ministry of Foreign Affairs, which condemned the leak in very strong terms, that requested the block. (Also, a key piece of background information is that Google/Youtube has been refusing to yank the alleged corruption leaks on Youtube). As with other blocks, the content in question was quickly uploaded to other sites and people have started sharing the links. Overall, I remain convinced of the argument above: the content is not blockable, and this is quite obvious to the Turkish government which has many technologically competent people, including the Minister of Foreign Affairs who was a frequent twitter user and I have once watched discuss the power of social media with “Arab Spring” youth where it was clear that he knew what he was talking about (and quite smooth about it). These blocks are meant to demonize social media content, and to dissuade Erdogan supporters from seeking this content, knowing what to seek, and being motivated to seek it. If they know what to look for, and if they are motivated to want to look for it, circumvention remains possible and within reach of most. An interesting confirmation of the difference is remembering what PM Erdogan had said about the previous YouTube ban—which had come about because of content that the government does not truly care about. When asked about the ban, he had said: “I access it [Youtube]”, meaning that he circumvented, “You can access it, too.” Now, in contrast, PM Erdogan devouts good chunks of his limited time in political rallies decrying Twitter and Youtube (and also Facebook) as places that threaten families, and are source of lies and evil. Finally, it will be interesting to watch if an IP block follows the DNS block as it did with Twitter. If it does not, I’d take it as proof for the argument that the government does not want VPN use to spread because while DNS circumvention allows for YouTube access, it does not allow for Twitter access where most of the political link distribution takes place. A higher-level block on the distributing service (Twitter) rather than the content (Youtube) would be an interesting indication of the priorities of a political actor facing a challenge to its control over the public sphere. This entry was posted in Uncategorized on April 3, 2014 by zeynep. I wrote about why it doesn’t work–The day the Turkish government banned itself from Twitter. I also wrote about why it doesn’t matter that many people will circumvent: Why everyone is getting Turkey’s Twitter ban wrong. (The point is to demonize social media, not any false belief that it is possible to totally kill information). During the rally, Erdogan also talked about the threat social media, including Facebook and YouTube, poses to family values. He talked about its disruption of privacy, and how these foreign companies do not obey Turkish court orders but obey US and European courts. In other words, Erdogan’s strategy is to demonize social media. This entry was posted in Uncategorized on March 24, 2014 by zeynep. A loaf of bread, a dead child. 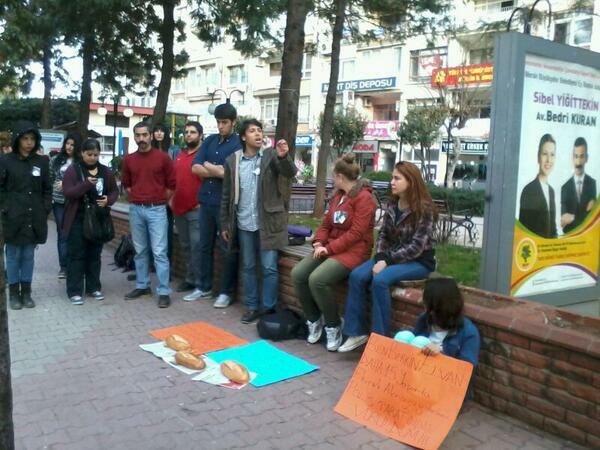 Turkey’s protest cycle. The latest sad news coming out of Turkey was the death of Berkin Elvan, a young boy, who just turned 15, who had been on his way to buy bread for his family in his own neighborhood, where people had also taken to the streets, during the Gezi protests. On the way, he was hit in the head by a tear gas canister and spent 269 agonizing days in a deep coma. Towards the end, his weight was down to 16 kgs from 45 kgs. Recently, his health had been failing and people were braced for bad news for the last few days. This morning, after his family tweeted out that “we had lost our son” news of the loss quickly spread in waves of grief that merged with waves of anger, heightened by the fact that nobody had been convicted for his death by a tear gas canister. 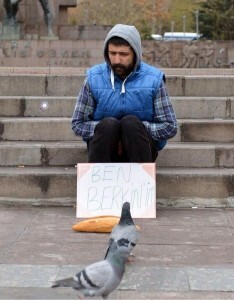 This makes Berkin the eighth death associated with Gezi protests, almost all of them young men, including a 19 year old who was beaten to death, and a 22 year old police officer who fell from a bridge during the events and whom the protesters always counted among those they mourn in their memorials. 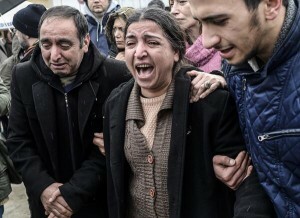 Pictures of his heartbroken family further entrenched the reality: he was just 15, he was on his way to buy bread and nobody was convicted for killing him. The image of his grief-stricken parents clouded timelines with its raw grief. Fury and sadness erupted online and offline. People took to the streets around Turkey. 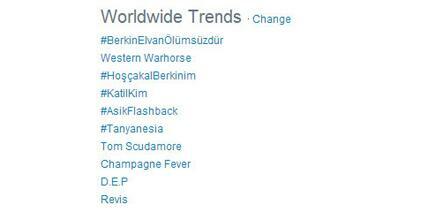 The hashtag, #BerkinElvanÖlümsüzdür (Berkin Elvan is immortal) trended worldwide, while another hashtag #HoşçakalBerkinim, “Goodbye my Berkin” also trended worldwide, in sad opposition to the wishes expressed in the first. 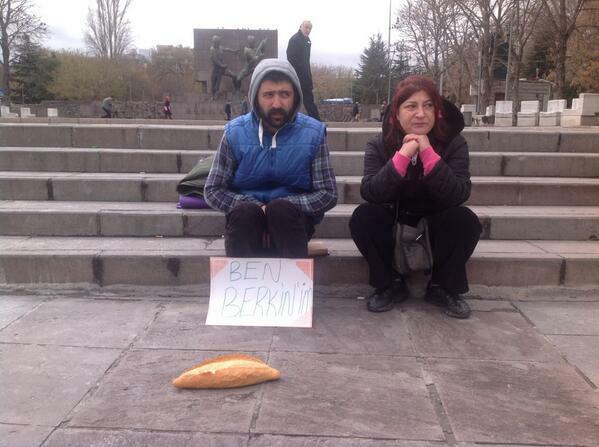 However, unlike what it may look like from outside, Berkin’s death did not renew protests out of the blue. Despite the latest focus on the corruption scandal and crisis within the judiciary, the “Gezi protests” had never disappeared. Instead, lacking a focus or political outlet, the discontent simmered both through occasional protests (over the Internet censorship law, for example) and also online. The lack of political outlet for the Gezi dissent is a circular question: it was lack of political outlet (due to ossified political system and concentration of power and media censorship) that caused the Gezi eruption in the first place. The Prime minister of Turkey often said that the Gezi protests were not just about the trees, that they were subverted for other causes. Based on the interviews I did at the park, I can vehemently deny one charge that is often made: that a desire for a military coup was among the demands of the protests–such an option almost never came up, and was not mentioned as desirable by the hundreds of protesters I interviewed. On the other hand, it is true the protests were more than about a park and hence have not dissipated because the park was spared. The protesters I interviewed at Gezi talked about a desire for rule of law, their concerns about growing corruption (which would erupt in a scandal about six month later), their fears that concentration of powers had gone too far and that spaces of freedom and of choice were being constricted by a government that wanted to dictate everything. Those concerns have not gone away; if anything, the last nine months deepened the fault lines. For 269 days while Berkin fought to hang on to life, people remembered him daily on social media. Hashtags would pop up: #uyançoçuk or “wake up child”, and someone would tweet out his name in sadness mixed with hope. His family acquired a widely followed Twitter account and regularly updated people. 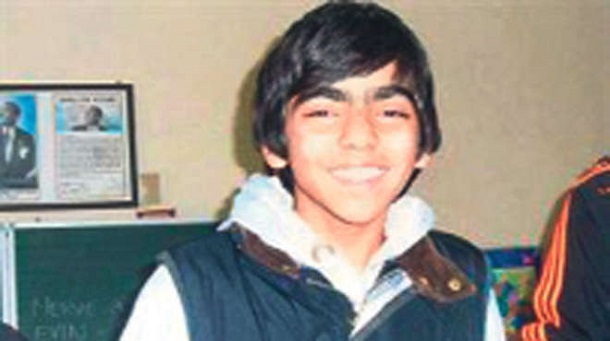 His innocent frame, his thick eyebrows and smiling eyes became a symbol of hope against the violence that threatened to steal his young life and his future. A few days ago, news started coming out that his heart had stopped, twice, and he was clearly deteriorating. As usual, all these conversations mainly occurred on social media as mainstream media, mostly silent during Gezi, still barely discussed these topics. Another aspect of Berkin’s death that is deeply evocative in the context of Turkey is that he was on his way to buy bread. 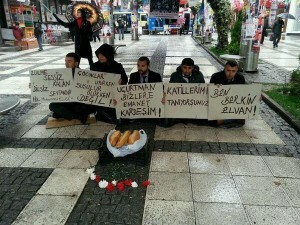 Bread is quasi-sacred in Turkey. In Turkey, it is the source of nourishment and it represents both human labor and God’s bounty through nature. If a piece of bread falls to the ground, my grandmother kisses it after picking it up from where it fell. 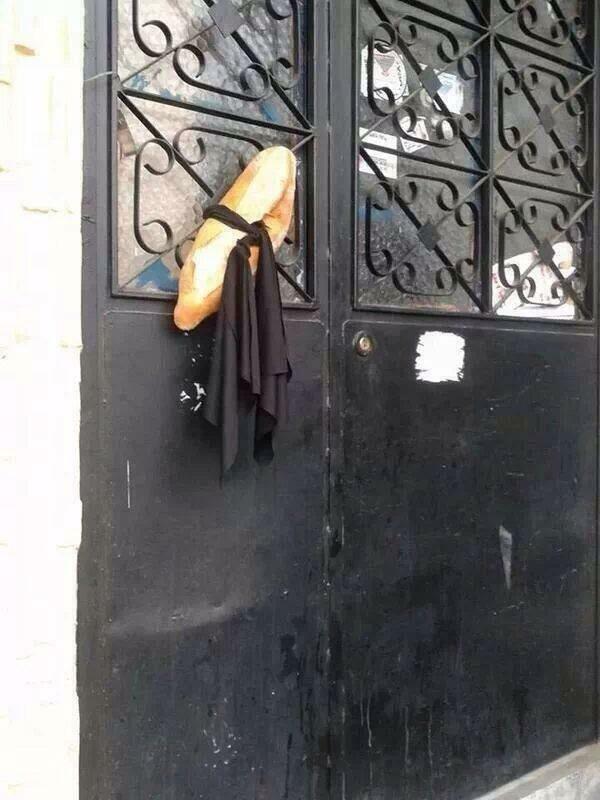 Wasting bread is seen as a sin, and not having bread at a table will get you howls of protest from people who will tell you they’ll be hungry without bread. (Yes, in Turkey, people will eat bread with pasta, for example). Then she sat down by him: Soon it was crowd: And then the pictures spread on social media, and occasionally picked up by online newspapers. 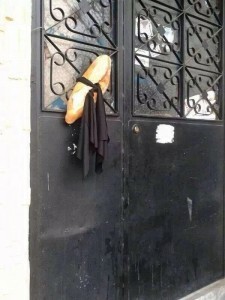 And people elsewhere started doing it: A house in Berkin’s neighborhood placed a loaf of bread in a grief-stricken ribbon outside their door: Some shops declared that they would not sell bread that day, and even put hashtags in their signs which perhaps best exemplifies the way in which online and offline have meshed in one inseparable reality in fueling these waves of protests: As I type this, there are protests in multiple cities, including in Istanbul and Ankara, which are reportedly being dispersed with heavy use of tear gas and water cannons–the same cycle that triggered waves of discontent since Gezi protests erupted less than a year ago. My timeline is full of familiar images of protesters, police and streets under cloud of gas. 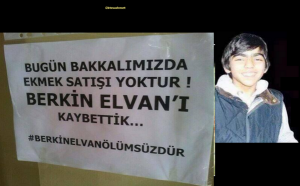 As the spiral of protests spread around Turkey, Berkan Elvin’s family called for a mass protest/funeral for their son for tomorrow, the 12th of March, at 2p. They called for this funeral via Twitter, of course, the key conduit for information dissemination for protesters as well as for supporters of the government who are also online in large numbers. They used a “screen capture” a widespread method on Twitter used to circumvent character limits and also for algorithmic invisibility. In Turkey, people will sometimes reply to each other via “screenshots” of the other person’s tweets rather than linking to them or mentioning them. This is done as a means to deny attention, to remain invisible to automated systems (as one will not show up in other person’s connect tab) and also to effectively “talk behind someone’s back.” In fact, what may look like great polarization in the Twittersphere in Turkey effectively hides the multiple methods by which opposing parties will engage each other directly, sometimes even carrying out conversations back and forth, in a manner that would be invisible to anything but qualitative analysis (you gotta read and understand, in other words, not just scrape big data). Screenshots, subtweets, and following by going to individual web pages rather than formally following are methods galore in Turkish Twitter, at least in its political parts which, these days, seem to expand very quickly. This is a sad day in so many dimensions. It is a sad day for Turkey: a country with so much potential, mired in a crisis of political representation, legitimacy, concentration of power and collapse of rule of law. Today is also a sad reminder that so-called “non-lethal” weapons like tear gas canisters are, indeed, often lethal. The first responses to my tweets about Berkin’s death came from Bahrain, a country that suffers from cycles of protest and repression where tear gas is used to break up peaceful citizen assemblies. 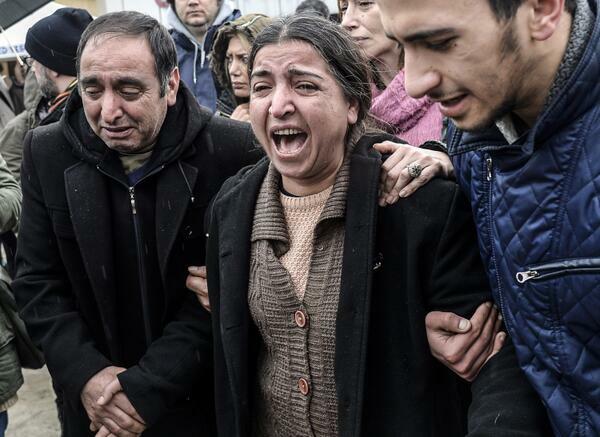 Most of all, though it is the saddest day for Berkin’s family and loved ones. 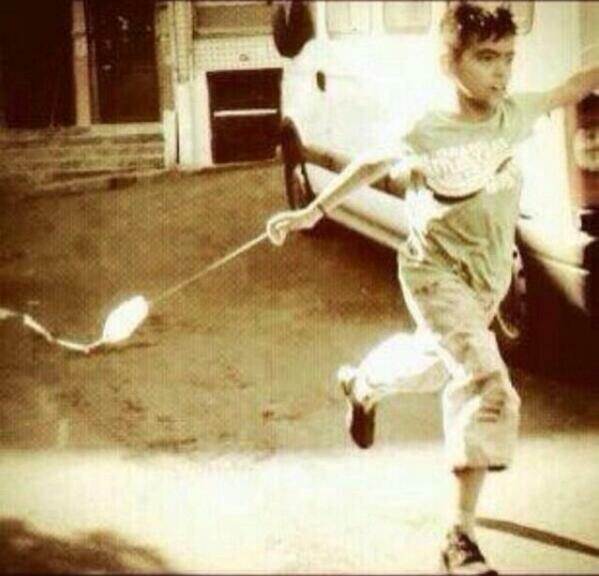 Perhaps the most piercing picture to circulate today was from Berkin’s childhood, which he never had a chance to grow out of. Spotting a mop of hair and his unruly eyebrows, Berkin is seen trying to float a make-shift kite in the streets, as children from poor families can be seen all over Turkey. His kite is small, he has narrow streets rather than open parks to run in, and the kite struggles behind him as he runs, determined to make it fly with all the seriousness the quest deserves: everything. Did he ever manage to make his kite fly? We’ll never be able to ask him as the world run by grown-ups who will never understand how such a thing could be so important, struck him down before he had a chance. This entry was posted in Uncategorized on March 11, 2014 by zeynep. As with all non-fiction writing, the ideas in my Matter piece on how rebellion and surveillance are intertwined spring from a conversation with other writers, thinkers and academics. Matter does provide links within the piece so as not to interrupt the flow so I wanted to compile some of my favorite academic and non-academic thinkers on this issue for anyone who was interested in more reading. Clay Shirky perhaps put it best on technology and human-to-human connectivity: “Historically, we have overestimated the value of access to information, and we have always underestimated the value of access to each other.” That remains one of the key insights about social media. His book, Here Comes Everybody, remains a cornerstone of many discussions about Internet’s impacts. Daniel Kreiss‘ book which brilliantly chronicled the Obama campaign of 2008, which was much more insurgent compared with the more “managed” 2012 one, remains a must-read. Dan has also written on how campaigns profile us with online data in this aptly titled article: Yes we can (profile you). He’s now examining the 2012 presidential campaigns so that should be quite a comparison with his 2008 observations! I also recommend the article “Limits of Peer Production” which Dan co-wrote with Megan Finn & Fred Turner . David Karpf‘s awesome book, the Moveon Effect, chronicles how networked politics is changing the social movement organizations. He’s also looked at how “netroots” are going global and reshaping the political game in many countries. David’s book asks really important questions about the gains and loses to social movements from shifting internet-based organizing and has fascinating analysis of what goes on behind the scenes. Also, don’t be fooled by the title Moveon Effect as Dave’s book also looks at the other side of the aisle which is also being impacted by these changes. To be certain, these books and articles are not the only scholarship on this topic (far from it! ), but I just wanted to provide a few high-quality entry points and focus on books with empirical content (rather than speculative ones which have their place but usually aren’t the books you should read first). My own academic papers on this topic are still under review: here’s draft of one of them on Big Data and Engineering the Public. Also, I am very much looking forward to finishing Emily Parker’s new book “Now I Know Who My Comrades Are: Voices from the Internet Underground” which puts faces to one of the mechanisms I talk of in my post: internet’s ability to make us visible to each other, with tales from Russia, China and Cuba. All the books I’ve mentioned above are great reads and they’ve all won awards from the academic community. Feel free to leave more suggestions in the comments! 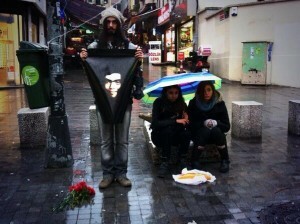 This entry was posted in Uncategorized on February 11, 2014 by zeynep. My timeline this morning was full of disappointment that the brave young activist for women’s rights in Pakistan, the amazing Malala Yousafzi, was not chosen for the Nobel peace prize. Instead, the committee awarded the prize to Organisation for the Prohibition of Chemical Weapons. 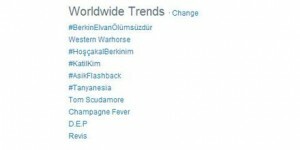 The who?… seemed to be a collective sigh of disappointment. But let me argue that this was exactly the right choice. The Nobel Peace prize should absolutely go to such under-appreciated, crucial institutions that help build peace, and that are sorely lacking in our complex world. Yes, I am amazed by Malala. How can one not be? Her courageous young body, shattered by Taliban bullets, her strong, kind stance in that Jon Stewart interview everyone on my Facebook timeline shared.. It is hard not to be moved by her. But she is but one courageous person. Fortunately for the world, there is no shortage of such brave, courageous individuals. In fact, there is an abundance of them, especially in poor, authoritarian countries. If you think Malala is rare, that is probably because you have not spent much time in such countries. Most Malala’s, however, go nameless, and are not made into Western celebrities. (That interview’s most telling moment was when Jon Stewart said “I want to adopt you” to her right after she repeatedly mentioned how great her own father was–such a striking sentiment in which our multi-decade involvement in Pakistan is reduced to finding a young woman we admire that we all want to take home as if to put on a shelf to adore). What the world needs more of is many, many more institutions like the “Organisation for the Prohibition of Chemical Weapons” which are crucial to destroying weapons that destroy lives millions of Malalas. We need organizations and institutions that uphold ceasefires, that observe elections, that document human right abuses, that provide the infrastructure for education, for health, that destroy weapons (conventional and unconventional) and that can act as the institutional capacity of much that is good in international human rights law (which we also need to improve and hold up). Again and again, the world faces awful moments. Civil wars. Ethnic Cleansing. Genocide. Chemical Weapons. Regular weapons that are just as deadly as chemical weapons. And we turn to international law, to the United Nations (such a flawed institution yet what we have), to international treaties, to the declaration of human rights to find high sentiments which are not matched by a multilateral, institutional capacity to do anything. This doesn’t happen by accident. This happens because nations of the world–from superpowers down to the little, less powerful ones–are not interested in the multilateral, international or national work of disarmament, peace-building, school funding, health care. We end up without good choices. How did we get here, we ask and we end up looking the other way. Until the next time. In the meantime, activism and social justice too often gets reduced to celebrity culture. Angelina Jolie visits refugee camps–good for her, but the crucial work of providing clean water to thousands of people trapped in such unsanitary conditions gets underfunded, and children die of cholera. No country takes in the refugees. Diseases spread, hunger and cold settle in. But by then, the celebrity has moved on, the cameras have moved on, and those under-appreciated bureaucrats, technicians, the planners, the institutions that improve lives of millions of people, everyday, get dismissed, underfunded, even ridiculed. Hey, they are just bureaucrats and technocrats! Yes, one by one, they are just that. But as institutions they are what the world needs much, much more of. Just in case you feel compelled to point out, I am well aware of the shortcoming of multilateral organizations. Overpaid staff and lack of accountability are real issues. But that does not take away from the fact that more institutional capacity with better oversight and principles is the gaping hole in a world in which almost all our major problems are internationalized, at least to a degree, and yet our institutions and tools remain woefully, dramatically inadequate. You name it. Human rights. Health. Weapons. Global Warming. Multilateral capacity within a framework of international law (yep, I’m bored typing it) is the only way forward because the other alternatives are whims of existing powerful nations, or celebrity moments on television which make us feeling good, but not much more than that. So, three cheers for Organisation for the Prohibition of Chemical Weapons. May their work, and work of organizations like that, help keep future brave young Malala’s alive and thriving so that they don’t have to be heroes, but can be the children that they deserve to be. This entry was posted in Uncategorized on October 11, 2013 by zeynep.